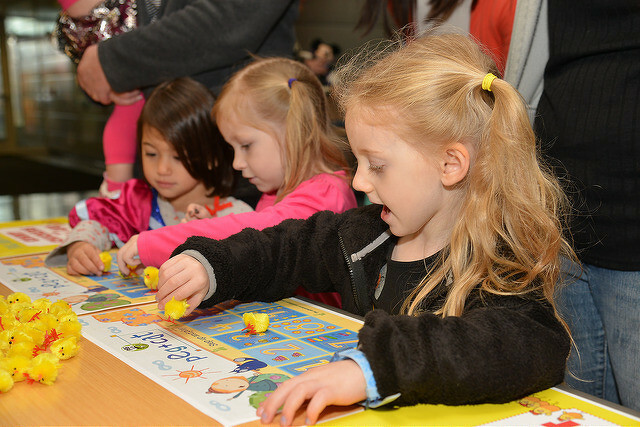 Kids and families can conduct science experiments, meet an astronaut and take photos with PBS Kids characters during a free carnival at Penn State’s University Park campus on Sunday. The first 500 children ages 9 and younger will receive a treat bag that includes a free PBS Kids book, a Dairy Queen coupon and various WPSU and sponsor items. Families are encouraged to bring food donations that will be shared with area food banks. Cat food and canned dog food will also be accepted. 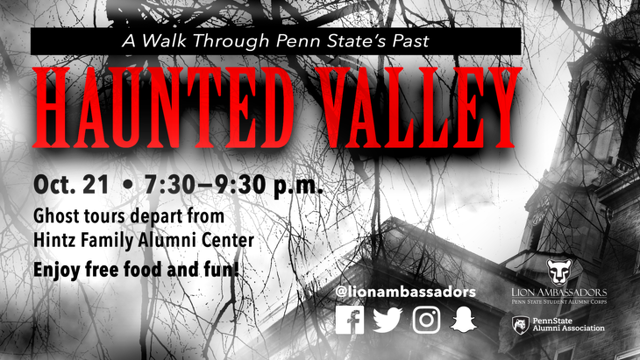 The Lion Ambassadors, Penn State's student alumni corps, will again embrace Penn State's spooky past during their second-ever Haunted Valley ghost tours through campus. The tours, described by the group as "a walk through Penn State’s past," will depart from the Hintz Family Alumni Center.